CEW (Creatively Empowered Women) Design Studio is a Chicago based art therapy social enterprise working with refugees and immigrant women of diverse ethnic backgrounds. provide a welcoming space for sewing, knitting, crocheting and art sessions that strengthen life skills and cultivate a sense of community. promote holistic well being through skill sharing and fellowship. 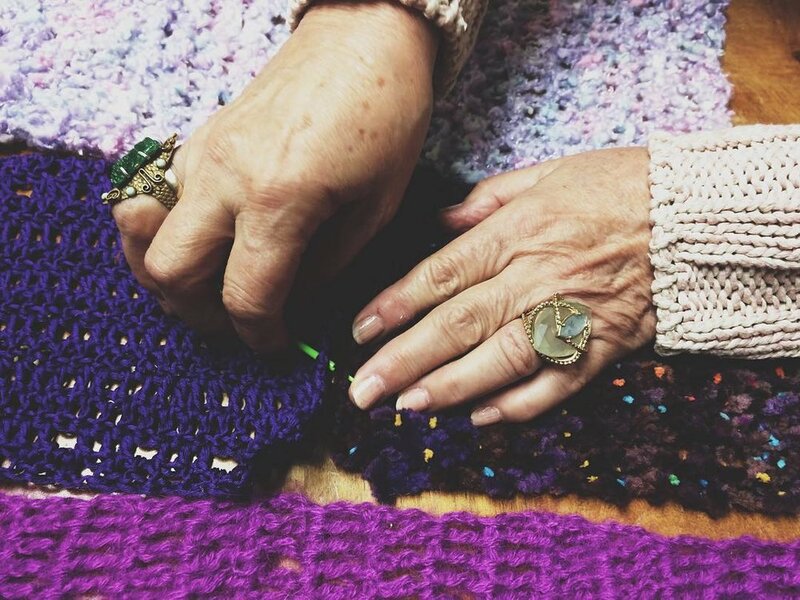 facilitate a participant-guided space where women creatively engage in supporting each other and share their expertise to find hope, help, and healing as a community. Artisans have the opportunity to capitalize on their artistic talents to earn supplemental income. CEW provides the members with materials, and products made in the studio are sold at different events, with 70% of the proceeds going to the artisan and 30% to restock the studio. CEW operates in partnership with the Hamdard Healthcare Center located in Rogers Park, Chicago, which is committed to promoting the emotional and psychological well being of individuals affected by trauma and violence. BUT YOU’RE WONDERING… HOW DID WE START? 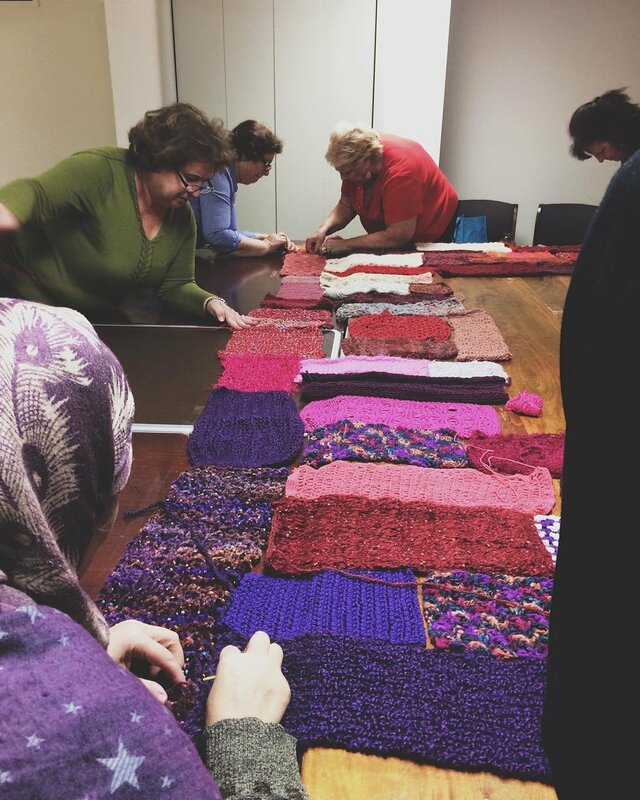 CEW (Creatively Empowered Women) Design Studio began in 2012 as a grassroots project founded by Savneet Talwar to serve Bosnian refugees and South Asian immigrant women who attended the Hamdard Healthcare Center. Over the past few years, CEW members have become involved in every aspect of the studio development. Some of the women have assumed leadership roles, teaching other participants new skills, or taken ownership of the project, helping shape the studio's future. While working together, the participants share stories of their everyday life as well as insights into how crafting has been a means of coping during difficult times: the stress of forced relocation, the experience of war, violence, and genocide. She is an educator, art therapist, artist, cultural worker and activist. Her passion for craft and fabrication leads her to still be an active and collaborative member of CEW. Currently, she teaches in the Art Therapy program at the School of the Art Institute of Chicago. She is interested in the power of creativity as a tool for wellness and social change. Savneet’s research is focused on feminist politics, critical theories of difference, gendered labor practices and citizenship, employing a critical craft and social justice framework. Utilizing craft and fabrication as a form of social practice in community settings, she is also interested in creating dialogue surrounding issues of reproductive freedom, sexuality, the body, cultural trauma and social inequity. Emphasizing the performative nature of crafting, she is invested in questioning social engagement and change to generate meaning making. A classic, sturdy yet soft yarn with excellent stitch definition and durability. It produces a strong fiber with exceptional softness quotient for a wide variety of uses. Felts beautifully. This is a method where yarn is being manipulated to compose a textile or fabric that produces multiple types of apparel. Knitting creates multiplex loops of yarn in a line and tube called stitches. This is a process that creates fabric by interlocking loops of yarn or other strands of material that employs a crochet hook.